We are living in a time of a learning revolution. Self-paced learning has become a dominant form of corporate instruction, as more Global 2000 companies incorporate elearning into their training curriculum each year. e-Learning’s flexibility, accessibility, and personalization is changing traditional training. However, there is a major obstacle to e-learning’s emergence. That obstacle is motivation. 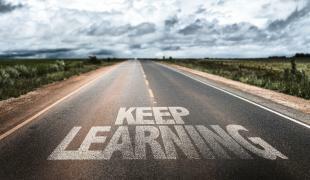 Employees need to be fully invested in their elearning courses in order to reap the benefits. Here are ways to increase worker motivation and engagement to help your employees get the most out of their e-learning courses. eLearning can provide the options that people love. It’s well known that there are many different types of learners in this world, which means one type of method of instruction won’t work for all. It is important to offer employees multiple interacting options to cater to various learners. More importantly, introducing nontraditional modes of communication to workers, such as games and video simulations, can help engage employees who haven’t yet discovered the form of training they respond to best. Once you find the best approach to elearning for your employees, what’s the easiest way to keep them motivated to learn? Quizzes and assessments are great ways to encourage employees to succeed and to be focused during their elearning courses. They can serve as an effective tool to evaluate workers’ retention of information. In addition, tests allow employees to track their improvement and progression. No one wants to fail a test, so workers will be motivated to pay attention during their elearning course and to understand its content. How many times in school do you remember thinking “Why am I being taught this?” Demonstrating a courses’ real-world application is essential when it comes to elearning. If workers do not understand how a course will benefit them in their work, it is very unlikely that they will feel the need to be fully engaged. Explaining the purpose of the course is essential and is a key component to effective elearning courses. Ultimately, what’s the best way to increase employee motivation? You guessed it, incentives. An incentive program is the simplest way to boost employee motivation. Employees motivation will undoubtedly improve if they are given a reason to complete their training courses. Offering a reward as simple as a gift card to those who complete their training courses will entice even the most indifferent or stubborn workers. Corporate training courses do not have to seem like a chore. With these helpful tips, your employees will embrace elearning and be more motivated to learn than ever!